It’s that time of year again, folks! Time to dress our pets up in humiliating costumes that they repay us for with potty accidents in the night, vomit-fests while you’re at work, and tearing the heck out of your favorite something. 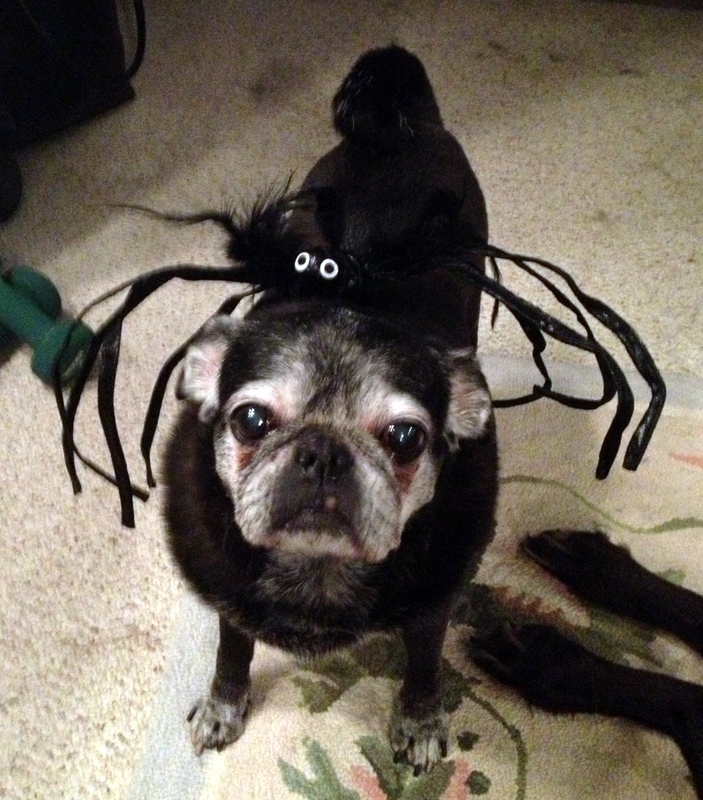 In this case, I dressed up my neighbor’s Pug, Pixie. She does not look amused.